State-of-the-art equipment, technical expertise and quality control are what it takes to yield a superior product. Heidelberg DI46, a state-of-the art 4-color digital press. This equipment can save up to 30% on 4-color print jobs. True Color Hamada, for printing 14x 20 in either 2 or 4 colors. While top-of-the-line equipment and experienced pressmen are important for a quality print job, equally important is quality control. While your job is being prepared for printing -- from film preparation through the actual press run – your project is carefully supervised to make sure it is completed according to your specifications. 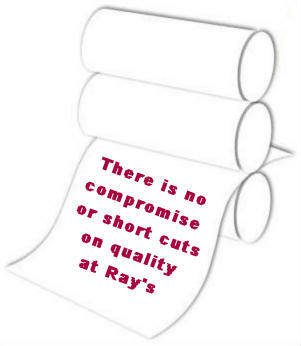 There is no compromise on quality at Rays.